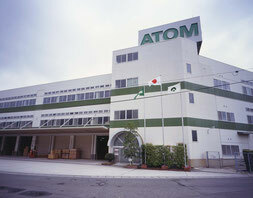 ATOM was established in Hiroshima, Japan in 1942 as a manufacturer of work clothes. In 1949 ATOM switched to the business of spinning of nylon strings for work gloves and socks. In 1957 ATOM diversified into manufacturing of work gloves knitted from nylon strings. The spinning business continued till 1994. Through these two long-term industrial ventures, ATOM has built a lot of know-how and nurtured innovative engineers dedicated to developing epoch-making work gloves that boast safety, comfort, and hand dexterity as their primary and ultimate purpose. a first in the world, and three years later developed and started manufacturing solid natural rubber vulcanized string-lined gloves, since imitated by a lot of companies all over the world today – we thank them for the flattery. 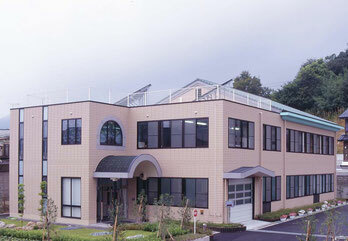 ATOM also prides itself in advancing factory automation. Taking for example, the fully automated manufacturing system used in latex lined gloves, developed through our own engineers in 1970 one can get the idea of who we really are in the world of industrial gloves. 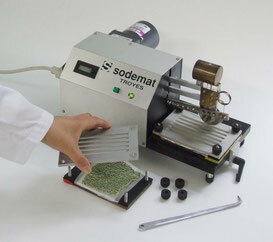 Soon after that groundbreaking breakthrough ATOM fully automated the machine for solid natural rubber vulcanized string-lined gloves as well. In 2004 ATOM developed an innovative concept anti vibration glove (1121 series) that passed the stringent European certification test for anti vibration gloves: EN ISO 10819:1996 – American standard ANSI S3.40 specifies the same test procedures. In 2005 ATOM developed Nitrile Palm Coating String-Lined Gloves with innovative properties, such as an incomparable oily grip and oil repellency without sacrificing the dexterity and tactility.